Amritsar Prison is one of the most important and sensitive prisons in the State of Punjab in India. It comprises of two separate prisons in the same complex- namely Central Jail I and Central Jail II. Central Jail II is also known as Security Jail. This prison came into existence in the present Prison Complex in the year 1957 as a District Jail. Prior to this, there was a small jail located near the Red Cross Building in the city of Amritsar. It was upgraded as Central Jail in the year 1969. In 1976, this Prison was elevated as Headquarter Jail having administrative control over all the prisons of Majha and Doaba regions namely Central Jails of Gurdaspur & Jalandhar, District Jails of Kapurthala & Hoshiarpur and Sub Jails of Patti, Phagwara, Dasuya & Pathankot. 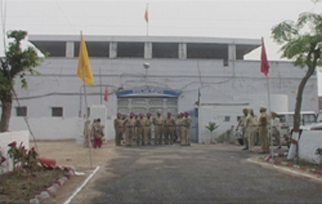 Amritsar Prison Complex accommodates around 2200 to 2500 prisoners against a sanction capacity of 1000. 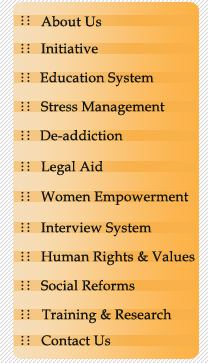 Around 62% of the prisoners are Undertrials. A portion of this Prison has also been notified as Internee Camp for the entire State of Punjab to accommodate the foreigners awaiting deportation. There is a separate hostel for the women inmates with the capacity to accommodate their children below 6 years of age dependent upon them.